The road to success is never straight. The textbook definition of “straight” is something that has no bends, angles or curves. Can we apply that same definition to life? Absolutely not. There really isn’t such thing as “straight” in the universe. At the core of everything, including us, is energy. Energy doesn’t travel straight, it travels in waves. Imagine throwing a pebble into a lake, watching the ripples gliding across the surface. Right after you throw your pebble, someone else also tosses a pebble in the same lake, and now the ripples from that pebble collide with the ripples from yours. That’s how everything in this universe works. People and events are constantly colliding. This creates new pathways, situations, and actions. The chaos of life makes it almost impossible for anyone to always go “straight” to where they planned. Some people thrive on chaos and change, but most people don’t. They get frustrated, down, and ready to throw in the towel because they usually have expectations, and these expectations are usually almost impossible to meet. 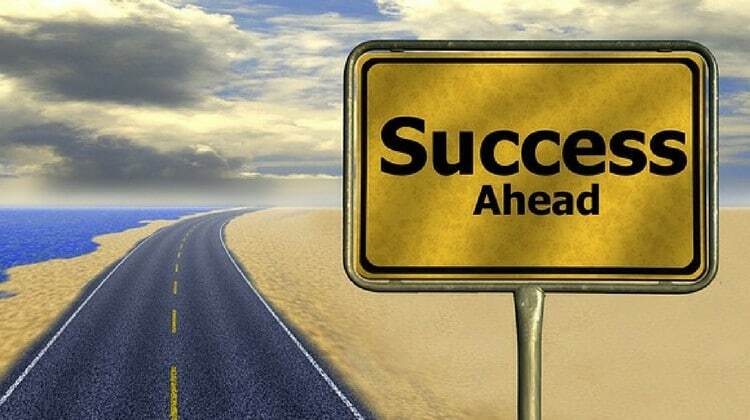 We might as well just accept it: the road to success comes with twists, turns, ups, downs, stops and reverses. Once we really understand and accept this, we’re less likely to be deluded into having unrealistic expectations that there’s a straight line to the top. So when we come across bumps, flat tires, and raised bridges along the way, we won’t be so quick to get upset or give up. Getting off track is normal and therefore “perfect”. You have to expect to spend a great deal of time making mistakes, or if it sounds better “making corrections”, on your road to success. There’s a reason why perfectionists have a hard time being highly successful. Perfectionism is a form of fear, based on fear of failure or the fear of disapproval. If perfectionists don’t get it exactly right, then they don’t have to finish, follow through, and move on. They get to stay stuck “until it’s right”, but of course it’ll never be right. Perfectionists will never have to face the possibility of rejection or disappointment. We need to consider mistakes as “feedback” rather than something to be avoided at all costs. Mistakes are our perfectly natural learning curve. They are the feedback we need to get ourselves back on track. We can do the same thing we already know we need to do in order to keep moving forward: Take action! Those actions will produce results, and sometimes more mistakes. Then we just get that feedback, use it to correct our course again, and take more action. This is the non-linear cycle toward success. As long as you use this cycle , and persevere, it’s virtually impossible to fail. Remember, we’re all ripples in the lake of the universe. You never know how a comment, observation, or shared experience can change the course of your life or another person’s life! What are your stories about the ‘bumpy’ road to success? What unexpected events – totally beyond your control – have happened to you? How did you react? Did it set you back or help you move forward with new and better actions? How did you deal with the setbacks or successes? For most people, the inevitable setbacks on the road to success can result in a lack of confidence and low self esteem, but it doesn’t have to be this way. So to help prevent this from happening to you, I created a free e-book called MindFrick, “Master The Inner World To Succeed In The Outer World”, that I’d like to give to you for free. Click here to download it now. I thank God for this teaching. Inevitable set back in businesse has cost me my confidence. But am happy I red this material today. Pls I will be very happy if there will be a link for Africa ( Nigeria) to register for your web signature class. A lot of people in Africa need you. Yes…. We do need such @ present in Nigeria. Thank you so much for these words of wisdom. Instead of constantly beating myself up when I make a mistake, I will now look at the bumps in the road and analyze them and move forward instead of backwards. Thanks Mr. T Harvker. You’re a great teacher of mine. My road to success always be you in my mind. I love listening to Harv. He’s the kick in the pants I need sometimes. Is there somewhere we can see Harv’s Mission Statement? God bless you sir…. Nice write up. I hope someday I stand and strive the world with this such of Millionaire Mindset…. Keep it up my mentor. Well, I’ve failed at two sales businesses, but it was probably because it wasn’t my dream, it was just fun. I realize that mistakes are absolutely necessary in your own business or in any position of employment just as they are present in relationships…they are stepping stones to success and enriched relationships and joy in life as well as true non-monetary success and financial success. Thnx, T. Harv Ji, Very nice Learning from you! En mi caso personal, los errores que he cometido han sido porque primeramente aún no tenía definido que es lo que realmente quería en mi vida. Especialmente en mi vida financiera. Aveces el conocer a personas hacen que el rumbo de mi vida cambiara pero era porque no tenía claro lo que quería para mi vida, y eso me hacía cometer muchos errores,como no aprovechar excelentes oportunidades que el universo me brindaba, pero gracias a todas esas experiencias hoy soy un hombre autónomo, con desicion y sabiendo o claramente lo que quiero para mi vida, tanto en lo financiero como en lo amoroso. Cada error es un método increíble de aprendizaje. Thank you for sharing with us positively in your book “secret of the millionaire mind” now I realised that success is a decision that is determined by how we take control of our financial blue print. Sir, I have started my first step towards being entrepreneur in the beginning of this year. I have seen very ups and downs in the business and putting efforts for success. 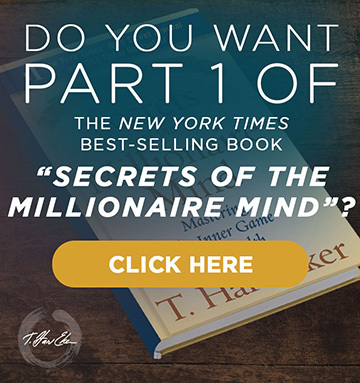 What I come across was a MMI program which was going to be organised in this October in Mumbai, India and very first time come across with your book – secrets of millionaire mind… I immediately downloaded it and started reading. Now, I feel very blessed with the principles stated in the book and started following it. Thank you Shri Harv for making me see new dimension of life. Your book changed my life. Thanks!!! This very helpful and great resources that can change my mindset. Thanks so much. reading your articles always keep me alerted , thanks you so much. I, Ron Dubuque, do hereby commit to becoming a millionaire or more by 12/31/2020. Thank you for the knowledge and guidance and ability to make this statement with full confidence and conviction. Я полностью согласен с Харвом! I want to be a millionaire by the end of this year and will work towards reaching that goal with all that is within me. Thank you for an excellent book that all people should read! I want to start my own business. I want to become a millionaire. At 63, I’m finding little of interest anymore after decades of studying and pursuing with diligence all that might be useful, technical, Biblical, Spiritual and literary. Medically I’ve even done wet-to-dry packing. I’m vp of the PTSA for a promising virtual high school that’s only now finishing its second year, and will see how we can make that grow. I do well with people but have encountered too many inept managers using the worst management styles, promoting the inept politicians. After being fired from a ten year job where I personally made so much happen for customers that we grew to the top of our market, only to be told, “it’s been decided,” I’ve little patience for such idiots. I’ve little interest in some “free” scheme that promotes a sure cure and sells some high priced wonder. I shall enjoy an early retirement and take care of little things for family. I am now 85 and had given up on my hopes and dreams because of my age. But recently I heard Harve give a talk and I cried like a baby–and felt so revived, I am now pursuing those dreams–and thrilled to see some new doors opening–and it feels sooo good! Thanks, Harve…. THE, Your Energy level is truely contagious. You create simple yet so effective system in which every prepared individual can’t escape to be a millionaire and HAPPY..! We need it badly. By saying we, I mean every individual who is not willing to live this extraordinary life in a normal way. Life is EXTRAORDINARY, so are you. This is gonna happen with ANYBODY whom your ideas, words and energy touch. I am so pleased that you tiptoed across my hearts path only yesterday and I signed up and tuned into you’re the 8 Millionaire Blocks today! Thank you for sharing what you do and in helping so many, especially in balancing the concepts of Spirituality & Wealth. I never lost faith but what I found that with all the $$$$$ in the world I could not bring my beautiful soul mate back to life and so it was. 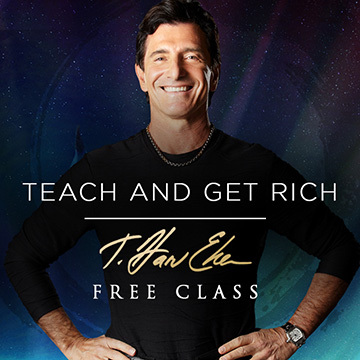 Oh yes I am truly grateful and so pleased that you tiptoed across my hearts path yesterday and I signed up and tuned into you’re the 8 Millionaire Blocks today! Here I Announce that I cammit to become a richest person and I do all that things and work that became me a richest person. I want to say thank you so much sir. The secret of the millionier mind book is great. It teach me the reality of my life. I habe read a Book of Eker. I was on the Millionärs Mind intensiv . If want to Come Forward , the Ideas of THErker will help you to resch your personal Target . GRACIAS por SER un modelo al que puedo admirar y seguir su CAMINO. I’ve just started, and really.. So much to learn and discover. God Bless You For Sharing This Piece With Us. Thank you so much, is so valuable to me. God bless you always in all. I want to be a pebble into a lake too. Thank you so much. well I thank you for this little peace of encourament low sefe esteem has real ly held me back making me to be unproductive in my would . pls I need you to menthol me to grow do age is not on my side but I believe I can still become who I want to be. I want to become a film maker. I am set designer for corporate events. I quite job and focus on film making but my fiance troubling me. I have to earn for my bread and butter. Now I am in debt. And can not focus on film making last ten years I am doing this. I take job for bread and butter and after some I get bored . I quite my job again I start my film making. I am not getting result from both I can not get enough money and can not complete my film. Now do not have money and I am thinking for do job again.